During many contested custody cases in Maryland, emotions will run high. Intense and negative conflict from litigation can spillover and outside of the courtroom and impact your family’s daily life. In high-conflict custody cases, parents may openly insult each other in the presence of the child or attempt to poison the child’s relationship with the other parent. Under the worst-case scenario, verbal sparring may escalate to actual physical abuse of the spouse or even the child. The child, as a result, becomes caught between both parents in a difficult and emotionally damaging situation. 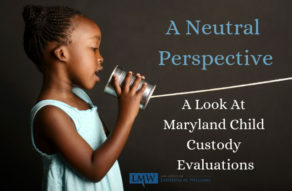 In these volatile situations, Maryland Circuit Courts provide a method to offset the potential harm of custody battles through a program known as parenting coordination. Maryland parent coordinators are court-appointed, and the coordinator acts as an intermediary between the courts and the parents or as a mediator when parents are unable to come to an agreement regarding custody issues. Maryland parent coordinators help to reduce conflict and help to minimize the potential harm to the child. When is parent coordination used in Montgomery County, Maryland and Prince George’s County, Maryland? Maryland Parent Coordination is generally used in high conflict cases with child-related issues where mediation has not been effective or is not appropriate. In these cases, the Court will appoint a parenting coordinator on its own under Maryland Rule 9-205.2 (f). A Maryland Parenting Coordinator may also be appointed in a custody matter at the request of a party or the joint request of both parties. What is a Maryland Parent Coordinator in Prince George’s County, Maryland and Montgomery County, Maryland? The process of “Parenting Coordination” is outlined in Maryland Rule 9-205.2 which explains that the purpose of parenting coordination is to reduce the effects or potential effects of conflict on the parties’ child by relying on impartial Parent Coordinators with a diverse array of backgrounds in mental health, the law, and mediation. The Maryland Parent Coordinator is trained to assist parents in identifying the sources of conflict for their family and helps the parents to explore alternative solutions in order to resolve those conflicts. when authorized to do so, decide post-judgment disputes by making minor, temporary modifications to child access provisions ordered by the court. A key premise of Maryland Parent Coordination is that parents should retain the power and responsibility to make decisions about their child/children’s wellbeing. A parent’s active participation in the decision-making process is likely to yield greater satisfaction and compliance with Parenting Plans and court orders. If your Maryland child custody or divorce case involves, or should involve, a Maryland Parenting Coordinator, you should contact a Maryland Child Custody Attorney familiar with Maryland parent coordinator appointments and requirements. 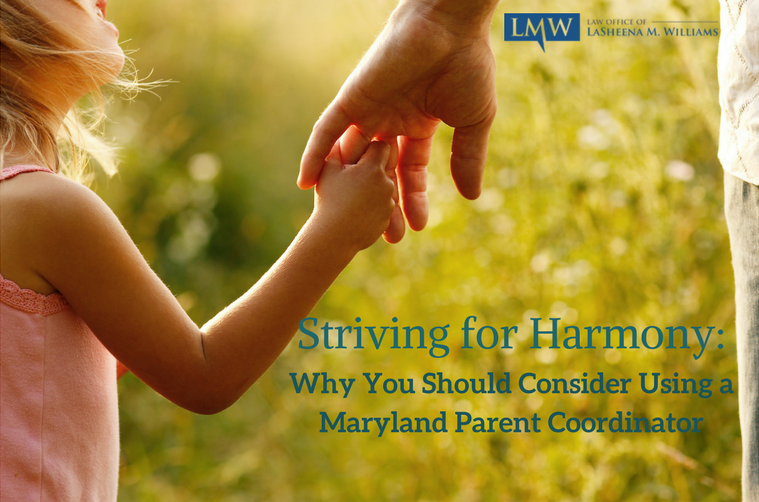 If you still have questions regarding what a Maryland parent coordinator can or should do, contact our office, we can help you learn more about parent coordinators and how a coordinator may impact your child custody matter. Call us today at (301) 778-9950, or send an online request for a consultation.